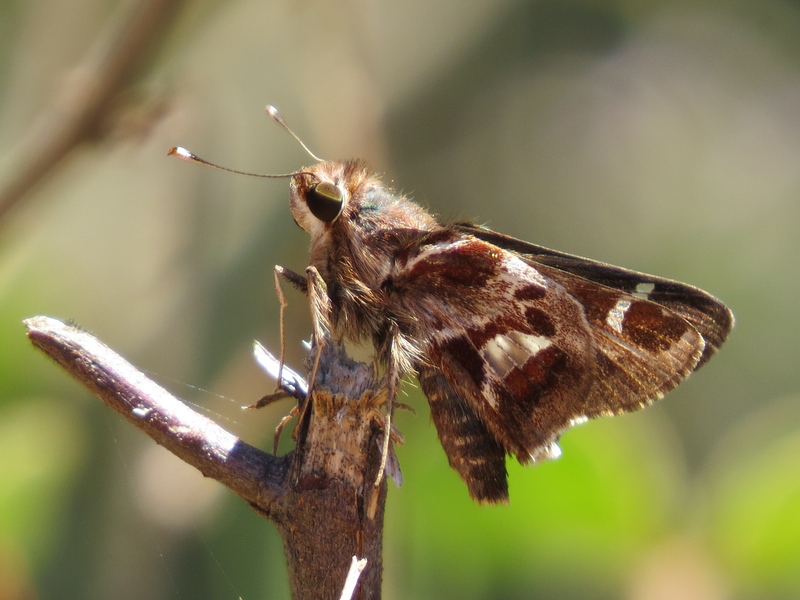 Identification: Upperside is dark brown with large transparent white spots on both wings. Underside of hindwing is variegated white, brown, gray, and red. Wing Span: 1 5/16 - 1 1/2 inches (3.4 - 3.9 cm). Flight: Several broods; from July-November in South Texas, February-November in Mexico and Central America. Range: Venezuela north through Colombia and Central America to central Mexico. An occasional stray to the lower Rio Grande Valley, Texas.